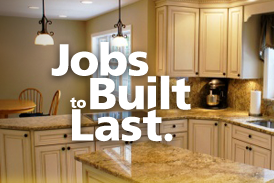 JBL Home Improvements, Inc, located in St. James, is a family owned and operated remodeling business specializing in residential projects from Lloyd Harbor to Montauk. JBL is fully licensed and insured. 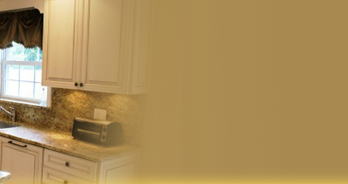 Owner & Contractor David Kaplan, General Manager Jill Kaplan, along with their team of talented professionals, are dedicated to providing outstanding workmanship and customer service to homeowners who live in their community. That's why their #1 source for new customers comes from client referrals! Licensed Contractor, and JBL Owner, David Kaplan is a graduate of Johnson & Wales College and holds a Bachelor of Science Degree in Hotel & Restaurant Management. His college summers were spent working with local contractors and learning the home remodeling business. After graduation David began his career in the highly competitive and customer-focused hospitality industry; after several years he missed the work he had done during those summers, the satisfaction of seeing completed projects, and working directly with residential clients and decided to change careers. Ten years after working under the tutelage of talented and successful home remodeling professionals David worked his way from apprentice to foreman. It was at this time that David decided to start his own business. Running JBL is the opportunity for David to combine his education, experience and desire to build a business that will provide the flexibility and financial independence for he and his family: Wife Jill, son Bryan and daughter Lauren, and in 2006 David launched JBL Home Improvement, Inc.
Jill Kaplan is the General Manager for JBL. A former Executive Assistant in the high tech industry, Jill graduated from Farleigh Dickenson University with a Bachelor of Science degree in Hotel & Restaurant Management. As General Manager Jill handles the customer relations, operations and administrative areas of JBL and she is your contact for scheduling appointments and work crews. The JBL team also consists of a team of talented and experienced craftspeople who will tackle your project with skill, care, professionalism and enthusiasm. As active members of the Long Island community, and as parents of two young children, David and Jill Kaplan are dedicated to the continued growth and success of JBL Home Improvements, Inc. The entire JBL team knows the only way to succeed is to provide outstanding workmanship AND outstanding customer service to their Long Island Neighbors.